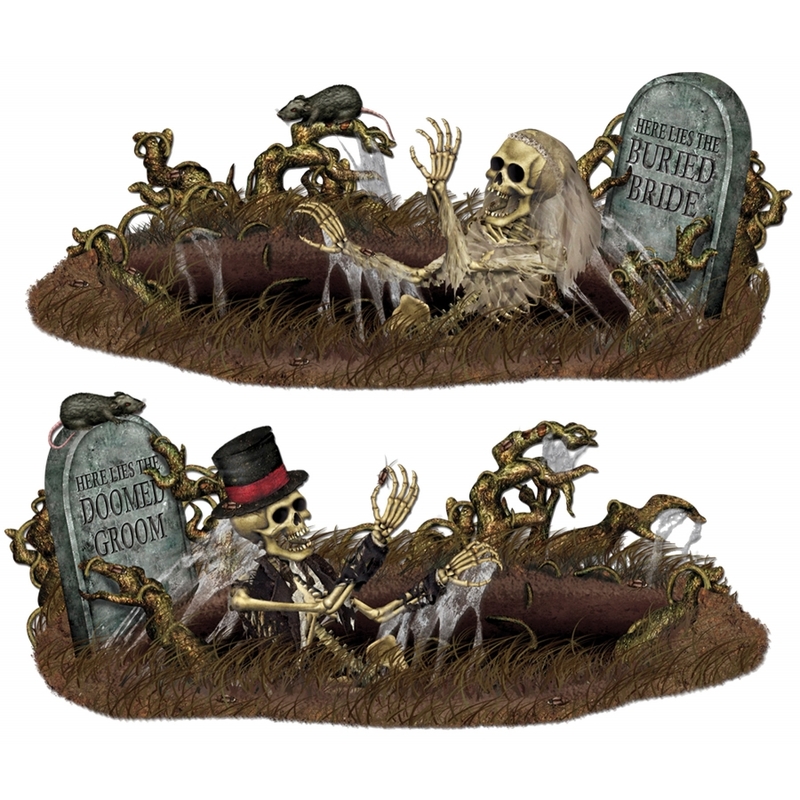 These props are sure to give your victims a fright! Great for your Halloween party or your home haunt! 2 scenes included, one with skeleton groom emerging from grave and the other with the skeleton bride doing the same thing. Polypropylene. 33 1/2 x 5ft 3in. Scissors required to cut out pieces. 1 sheet with buried bride, 1 sheet with doomed groom. Pins/adhesive required.